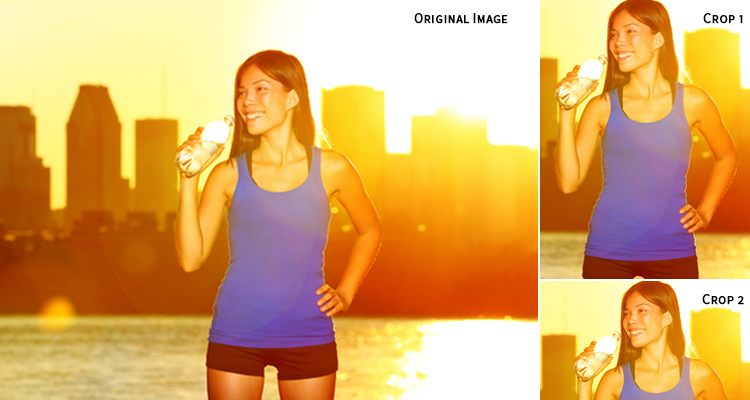 When it comes to commercial applications, the creation of an image often takes place before a camera is even touched. From the standpoint of the person capturing the image, one of the most important factors, beyond the message, is how the image will be used. Whether you are on the front end of the process creating the concept for a campaign, in the middle capturing the images, or on the back end creating the finished work, it’s important to be clear on the overall vision of what the final presentation will be. Many times, a company may decide they’ll be using an image that will cross many different media platforms: print (direct mail, pamphlets, magazine, billboards, etc. 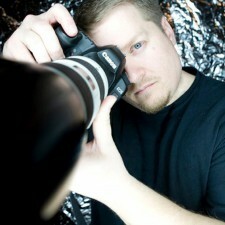 ), social media or broadcast. Versatility is important for images like this. In other words, consider approaching an image so that it has a good amount of negative space for text and will work equally well if cropped vertically or horizontally. You can never have enough information, even in the Information Age. 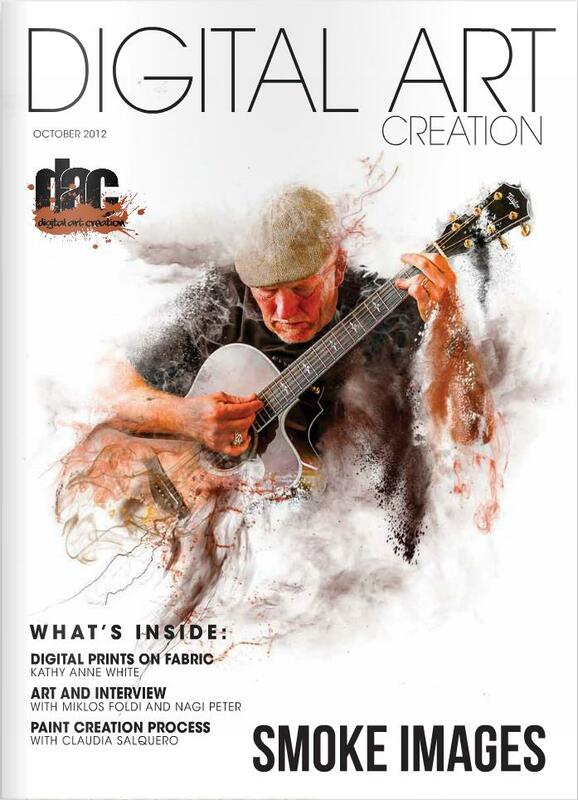 Digital Art Creation, which is a quarterly online publication, is filled with content that includes photo and post-capture techniques, printing and post-printing tips, and a variety of other subjects of interest to photographers, designers and graphic artists. Digital Art Creation is free for the read-only edition at the website: www.digitalpaintmagazine.com. Simply fill out an opt-in email form at the home page and the link to the quarterly publication will be sent to your mailbox. A read-only version is hosted on the site and downloads are available for $4.99 per issue. The September issue is scheduled to be ready around September 15. Back issues of Digital Paint Magazine – the precursor to Digital Art Creation dedicated primarily to digital painting – can also be found at www.digitalpaintmagazine.com. 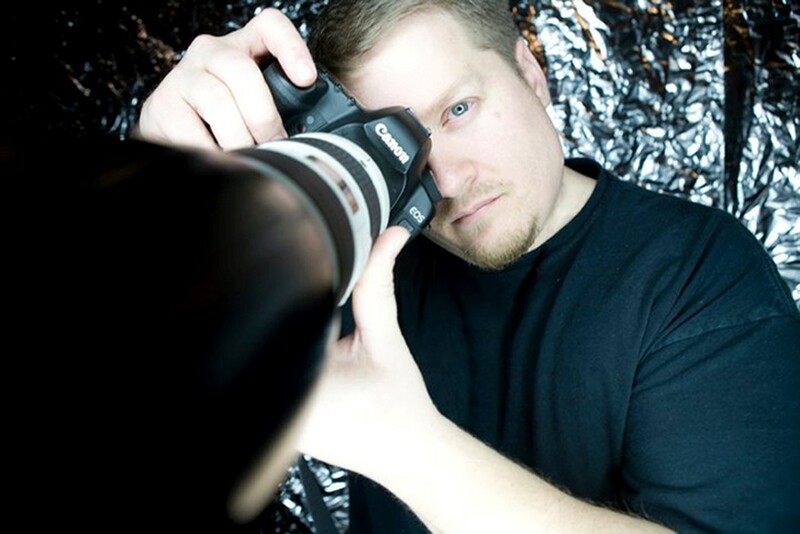 February 2013: Profiles of artists from the 2013 Digital Art Summit, including Darrell Chitty, Thom Rouse, Marco Bucci, Paul Tomason, and many more. December 2012: Canvas Wrap Details, Old Master profile Picasso, Using Drawings as a Management Tool by Victor Lunn-Rockliffe, Digital Printing Alternative Surfaces: Recycled Plastic by KathyAnne White, and more. October 2012: Gallery Wrapped Canvas Prints by Ralph Cooksey-Talbott, Woody’s Smoke Brushes by Woody Walters, Old Master Rembrandt by Nadia Lim, Printing on Silk by KathyAnne, video marketing, an interview with Miklos Foldi and Peter Nagy, and more. And there’s more when you go to www.digitalpaintmagazine.com/blog/magazine-back-issues.html. HP introduced two web-connected printers, the HP Designjet T920 ePrinter (PostScript and non-PostScript) and the HP Designjet T1500 ePrinter (PostScript and non-PostScript), that feature a new ergonomic design, delivering an improved user experience for architecture, engineering, construction and design professionals. The new printers, now available at LexJet, are designed to help busy workgroups complete work efficiently and meet deadlines by printing correctly from the start with true print previews and delivering fast, high-quality prints. They also help users with on-the-go access and the ability to view and print projects from the cloud so they can collaborate easily with remote teams. HP designed the 36-inch devices based on extensive engagement with users early in the development process. Users proposed designs that addressed the pain points they suffer before, during and after the printing process. From this input, HP identified an output tray and true front-roll media loading as key areas for enhancement. 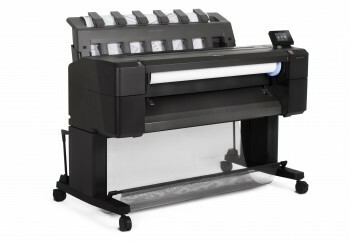 The integrated output stacking tray on the devices change the way users collect and organize large-format output. The integrated output stacking tray is built in on top of the device and delivers flat, collated prints. The new industrial design presents a flat surface on top of the devices, creating a media review table for quick and easy checking of printed plans. Built for against-the-wall operation, the true front-roll loading feature allows users to load media easily, even while seated. For small to medium workgroups, the compact HP Designjet T920 ePrinter eliminates output clutter with an integrated stacking tray that collates up to 50 sheets of A4- to A0-size media. True front-roll loading and automatic paper roll alignment make media handling simple. The device operates at speeds up to 21 seconds per A1/D print and is equipped with 32 GB of virtual memory space to process complex files easily and deliver faster prints, HP says. Ideal for multiuser environments, the HP Designjet T1500 ePrinter is equipped with two rolls and features automatic alignment and smart switching capabilities to handle multiple jobs on different media types and sizes. Doubling the processing power over its predecessor, the HP Designjet T1500 ePrinter uses a parallel processor with a 320GB hard drive to print multiple files simultaneously. The HP Designjet T920 and T1500 ePrinters feature an intuitive, full-color touch screen that gives users added control with the ability to manage job queues, track print costs and view true print previews. With six Original HP inks and the HP printhead, the new series can produce dark blacks, true neutral grays, vivid colors and sharp lines. The HP Designjet ePrinter portfolio features HP Designjet ePrint & Share, a free web service that makes it easy to access, view and print large-format documents using an Android or Apple tablet, a smartphone, a notebook or an ePrinter touch screen. Together with HP Designjet ePrint & Share, the web-connected HP Designjet T920 and T1500 ePrinters allow users to automatically save copies of projects to the cloud when printing. Users also can email projects to print by attaching a PDF or other print-ready file to an email. Customers can then send the file to the ePrinter’s dedicated address. “The combination of the HP Designjet T920 ePrinter and HP Designjet ePrint & Share allows our firm to collaborate more easily across the globe, designing with partners without regard for geographic borders,” said Muhannad El Midani, project manager, SSH. HP Designjet ePrint & Share is available at no additional cost for HP Designjet customers that create an account at www.hp.com/go/eprintandshare. The mobile application is available through Google Play and the Apple App Store. Additional information about the HP Designjet portfolio is available at www.hp.com/go/DesignjetSpring2013 and www.hp.com/go/designjet. Product videos and updates are available on Facebook at www.facebook.com/HPdesigners, on Twitter at www.twitter.com/hpgraphicarts and on YouTube at www.youtube.com/hpgraphicarts. 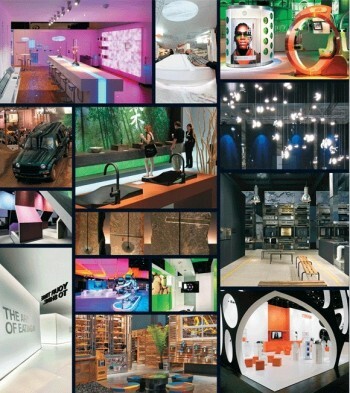 EXHIBITOR Magazine announces that the 27th Annual Exhibit Design Awards is now accepting entries. 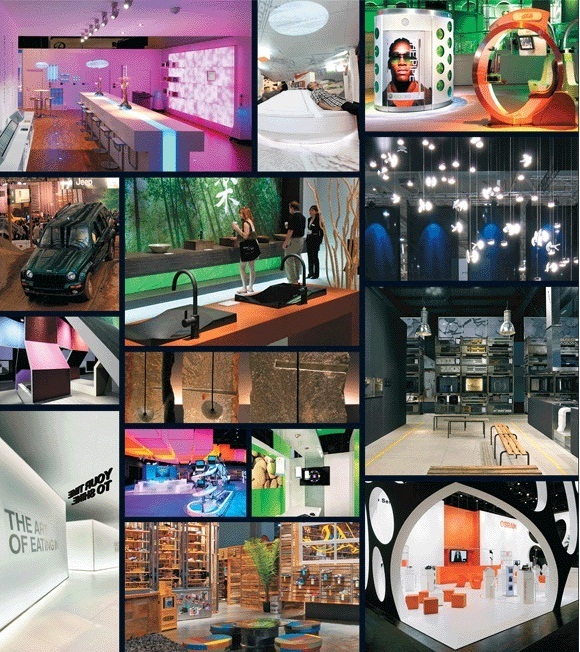 The Exhibit Design Awards honor the world’s best exhibition designs and present its winners with custom trophies, international coverage in EXHIBITOR magazine, and bragging rights. If you produce trade show graphics it’s a good idea to get the details (view the entry form here for complete details) and enter. The Exhibit Design Awards are worth their weight in marketing and PR gold. The early bird deadline is Nov. 16, 2012 ($140), and the final deadline is Nov. 30, 2012 ($185). An entry form and additional information are available online at www.exhibitoronline.com/awards/eda/. Or contact Linda Armstrong, senior writer and program manager, at larmstrong@exhibitormagazine.com. Give the people what they want is an excellent phrase to keep in mind when you’re designing anything. In the case of Douglas Liquors in North Attleboro, Mass., the owner – who happens to be English – wanted to immerse his customers in a traditional London tavern. 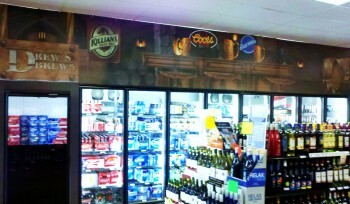 Colonial Beverage’s sign shop manager, Tennyson Lacasio, was happy to oblige. Lacasio did some research and brought all the elements of a vintage pub to the fore: stone walls, barrels, candle and lantern lighting, and so forth. The tricky part is combining a themed décor-like cooler wrap with the necessary branding. And, as you can see by the design and the accompanying photos, Lacasio expertly and seamlessly worked the beers Colonial Beverage sells into the picture. “The only things I snuck in that were modern were the Blue Moon and Coors neon signs, but all the other brands were given a more vintage, aged look. Still, those neon signs worked well and did not distract from the theme, and that was most important to the owner,” says Lacasio. The 44.5″ x 46′ cooler wrap was printed on LexJet TOUGHcoat Water-Resistant Self Adhesive Polypropylene, laminated with LexJet 3 Mil Matte UV Standard Low Melt, and applied to Coroplast. EXHIBITOR Magazine announced its 15th Annual All-Star Awards, which are free to enter and due by Sept. 7, 2012. Though trade show exhibit managers and corporate event managers are eligible, suppliers (like graphics producers) are encouraged to submit entries on behalf of their clients. Winners are featured in EXHIBITOR’s February issue, which EXHIBITOR says is read by more than 30,000 marketing professionals in the trade show, corporate event and meetings industries. Winners also receive a free one-day pass to the EXHIBITOR SHOW, including three seminars, a Peer2Peer session, and admission to the exhibit hall and reception, valued at nearly $900. This could be a great relationship-building gift for your client when you nominate them. The EXHIBITOR SHOW will be held at the Mandalay Bay Convention Center in Las Vegas, March 17-21, 2013. The All-Star Awards honor exhibit and event managers who have developed innovative solutions that have improved their companies’ programs dramatically, achieving measurable, numeric results. Members of EXHIBITOR’s Editorial Advisory Board, CTSM graduates and past winners will judge the competition. 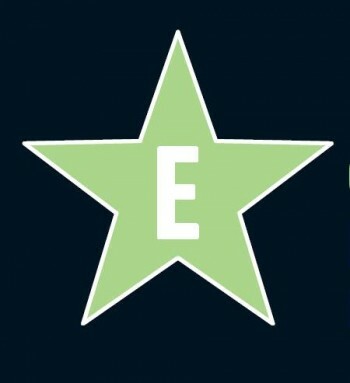 To download the 2012 All-Star Award Entry Form, click here, and for more information about the Awards, including profiles of past winners, click here.